The Namib Desert is not only the oldest desert in the world, but it has its own shipwrecks, 900-year-old tree “skeletons”, and some of the highest sand dunes in the world. 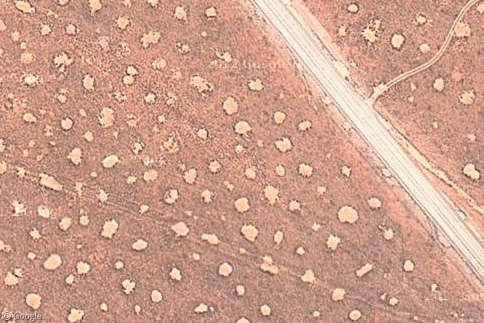 However we covered all those things in our 2008 article on the Namib Desert, and instead we’re now revisiting the area to discover the unexplained natural phenomenon known as The Fairy Circles. 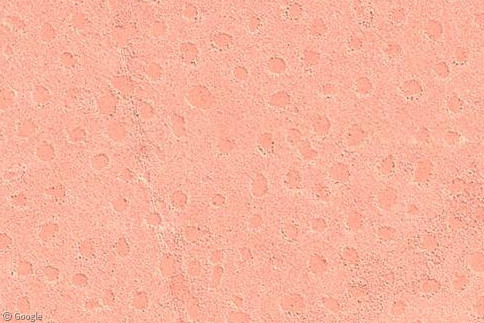 Covering a huge swathe of sparse grassland on the eastern fringes of the Namib Desert are tens of thousands of completely barren circular indentations in the sand, many of which are surrounded by a ring of tall grass. 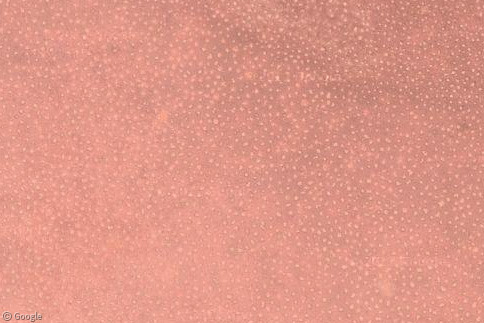 The roughly evenly-spaced circles are between 3 and 12 metres (10 and 40 feet) in diameter and completely cover a piece of land that stretches all the way from southern Angola to northern South Africa. The circles never touch or overlap, and to this day no one has ever been able to adequately explain their existence. Scientists have been studying the region since the 1970s, and since then all explanations for the circles’ existence involving termites, noxious gases, toxic plants or fire-breathing dragons have been scientifically disproven1. 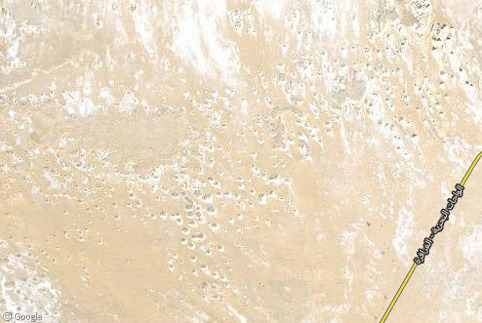 Last month, Professor Walter Tschinkel of Florida State University published new research that included findings based on his study of satellite imagery of the area. 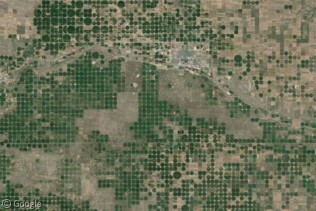 With the help of the satellite imagery Professor Tschinkel discovered that the circles have life-cycles – over decades they form, disappear, and reform in new locations. Tschinkel believes that the average circle “lives” for 59 years, but larger circles tend to “live” even longer. What the Professor has failed to explain however, is why the circles are formed in the first place. Whatever the true explanation is, it looks likely to remain a complete mystery for some time yet. Via the Milwaukee Journal Sentinel. Thanks to Ogle Earth for the link. Nice post Alex. 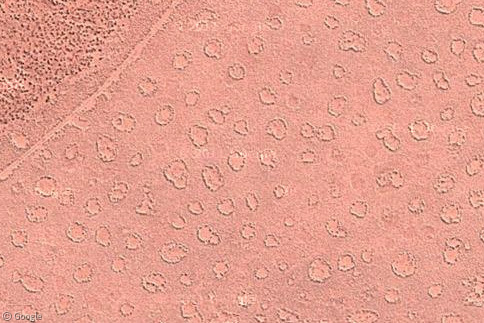 I just heard about these circles in a TV documentary recently and was thinking I should see if they were visible on Google Maps. You saved me the effort! Since the comments to the Jiaozhou Bay Bridge Articel are closed, I have to leave this hear: we carefully investigated this case in Wikipedia and found out, that it is definitely not the longest bridge. The calculated the whole projects, means including the tunnel to the total length. These two parts are not even interconnected with each other. Checkout the map in Wikipedia under “Jiaozhou Bay Bridge”.